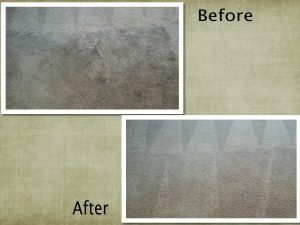 When you get your carpets cleaned you expect that your carpets will look like new again or at least close to new. Many carpet cleaners promise or guarantee such a great carpet cleaning but promises don’t mean anything if they can’t deliver. Beyer Carpet Cleaning doesn’t promise anything they can’t deliver. Their best service carpet cleaning which includes a steam clean, vacuum, pre-spray, and deodorizer will remove 95% of anything that is in the carpet. This includes allergens, dust mites, food stains, drink stains, and traffic areas. They do not promise to remove everything because the truth is no can guarantee to remove 100% of all stains. Some stains aren’t just stains they are carpet damage in which the carpet would need to be replaced. However, there are some cases where they can try to treat tough stains such as gum, wax, dye, oil, ink, grease, and paint but once again they do not make guarantees because they don’t want to promise something they can’t deliver on. These tough stains may or may not come out and if services are needed to try to remove and they are unable to remove them they will not charge you for the additional service. Beyer Carpet Cleaning will never tell a customer that they need services they don’t need and they will never promise something they can’t deliver on. This is why they offer a customer satisfaction on all their full service carpet cleanings. They know that they can make a difference in the cleanliness of your carpets and can say without any doubt your carpet will look better once they are done with it. This should be the only guarantee a carpet cleaner should offer their customers. If they promise any more it is very skeptical if they will be able to deliver. 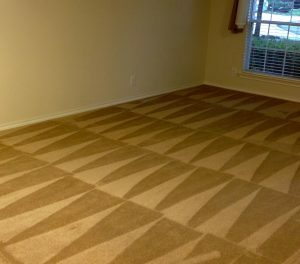 Carpet cleaning is unpredictable but with Beyer Carpet Cleaning you know what to expect and you know what you’re getting when you use the best in carpet cleaning San Antonio.